At Sunday night's MTV Video Music Awards, Nicki Minaj made a quick dress change that left her only partially clothed. The rapper helped open the awards show with back-to-back performances, and each required its own costume. For her first song of the night, "Anaconda," Minaj appeared on stage in a green, sequined two-piece. But as her performance transitioned into her single with Jessie J and Ariana Grande, "Bang Bang," the rapper tried to swap her green get-up for a sleek black dress - except she didn't exactly get it on in time to take the stage. 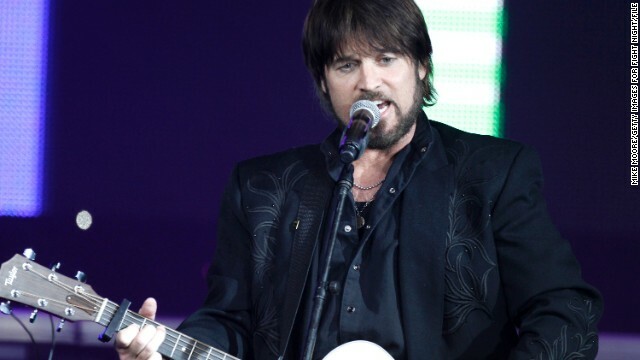 Billy Ray Cyrus doesn't care how hard his daughter twerks, she'll always be his little Smiley. The country star said as much in an interview with "Entertainment Tonight," telling the show's Nancy O'Dell that he'll "Of course I'll always be here for Miley." The long-awaited 'N Sync reunion has come and gone in the blink of an eye. 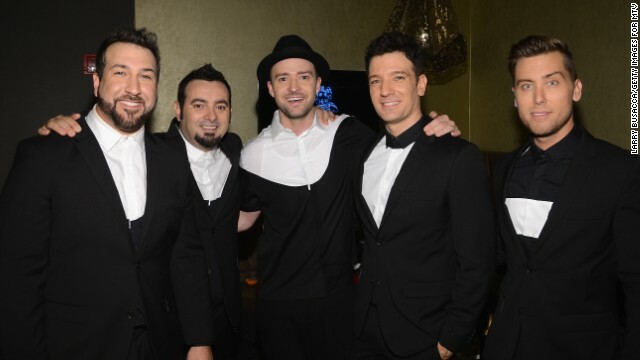 And we mean that almost literally: At Sunday's Video Music Awards, JC Chasez, Lance Bass, Joey Fatone and Chris Kirkpatrick reunited with Justin Timberlake just long enough to sing a few lines from "Girlfriend" and "Bye, Bye, Bye" before Timberlake resumed a lengthy solo performance. The Internet hate for Miley Cyrus' VMAs performance has been epic, but the 20-year-old pop star seems to be unfazed. On Twitter, Cyrus pointed out that all of that chatter has only elevated her brand. What was that about strippers, Kelly Clarkson? 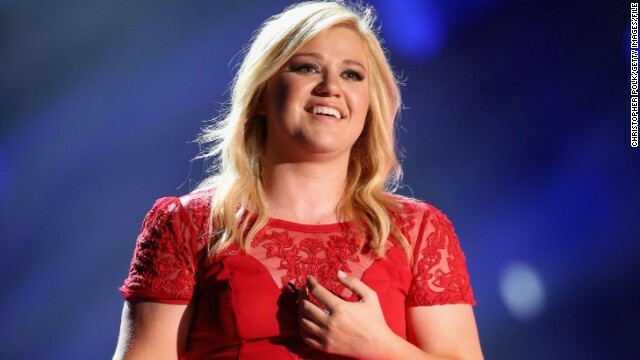 Kelly Clarkson is a little late to the VMAs party, but she can sum it up in just two words. "Just saw a couple performances from the VMA's last night," Clarkson tweeted Monday. "2 words.... #pitchystrippers." VMAs rewind: Whose performance came out on top? Contrary to Internet buzz, there were other performers besides Miley Cyrus at the 2013 MTV VMAs. For starters, she wasn't alone on stage last night, and we're not talking about those huge dancing bears - Robin Thicke, in a "Beetlejuice"-inspired striped suit, performed "Blurred Lines" before getting an assist on his new single, "Give It 2 U," from Kendrick Lamar and 2 Chainz.